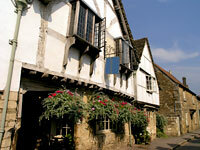 Lacock, just four miles south of Chippenham, is probably the most beautifully preserved village in the Cotswolds. This is largely thanks to Ela, Countess of Salisbury, first and only female sheriff of Wiltshire. It was Countess Ela who founded Lacock Abbey in 1232 in memory of her husband, William Longswoth, stepbrother to Richard the Lionheart. The Abbey, which was built for Augustinian nuns, grew alongside the village, each supporting the other, until its dissolution by Henry VIII in 1539. 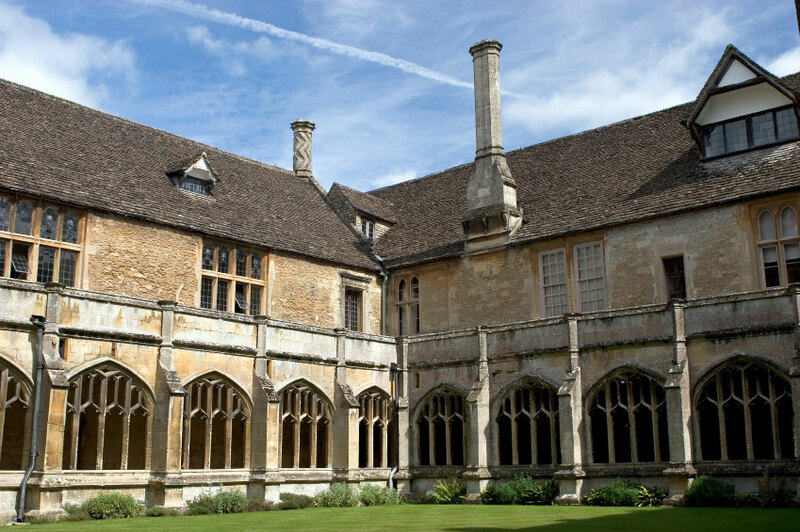 The Abbey was sold to Sir William Sharington who re-built it as a family home, although the original cloisters, chapter houses, sacristy and kitchens still survive. After just a few years the estate passed to the Talbot family with who it remained for 370 years until it was given to the National Trust in 1944. The Talbot family are mostly remembered for their illustrious son, William Henry Fox Talbot, who took up residence in 1827. A mathematician, physicist, classicist, philologist and transcriber of Syrian and Chaldeon cuneiform, Fox Talbot spent much of the 1830s carrying out experiments in the abbey using wooden cameras made to his design by the village carpenter. In 1839 he presented the Royal Society with 'an account of the art of photographic drawing or the process by which natural objects may be made to delineate themselves without the aid of the artist's pencil'. Loius Daguerre was carrying out similar experiments at the same time in France but Fox Talbot distinguished himself by inventing the positive/negative process by which multiple copies can be made and is generally thought of as the father of photography. Whilst in situ at the Abbey, Fox Talbot installed 3 new oriel windows, and one of the world's earliest photographs shows a detail of one of these latticed windows. It is the size of a postage stamp and the first known example of a photographic negative. Today the story of Fox Talbot's life is on display in the Fox Talbot Museum, located in a barn at the entrance to the Abbey. The museum, run by the National Trust, houses memorabilia from Fox Talbot's life together with a collection of early cameras. There are also regular exhibitions by contemporary photographers. It was Fox Talbot's grand daughter, Matilda, who gave the estate to the national Trust in 1944. 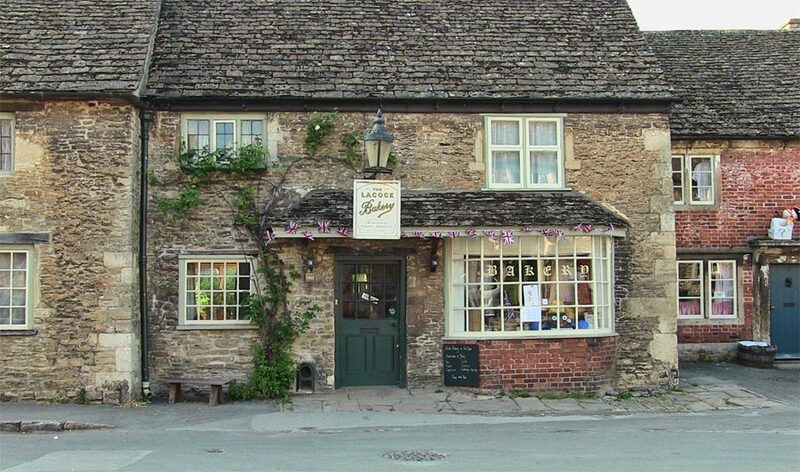 The villagers of Lacock, once tenants of the Abbey, then of the Sharingtons and Talbots, are now tenants of the National Trust, who are dedicated to preserving and maintaining the Abbey for future generations to enjoy. In the grounds are newly-restored botanical gardens, a Victorian woodland garden and a holiday cottage due to open in summer, 2008. During the middle ages the village, which prospered from the thriving wool industry, grew into a bustling town on the main Bristol to London road. It had its own mill and weekly market as well as three farms, carpenters, wheelwrights, several pubs and a brewery. Many original buildings still survive, including 'The Sign of the Angel', an inn in a 15th century weaver's house, a 14th century tithe barn complete with dirt floor, a medieval church and the 18th century packhorse bridge, built to solve the problem of transporting goods when the Byde Brook was in flood.